To claim this profile, please confirm you are Cam Marcus. To follow this profile, please let us know your relationship to Cam Marcus. Cam had 15 photos tagged from the game against Penncrest. Cam's baseball stats have been updated for the loss vs. Penncrest. 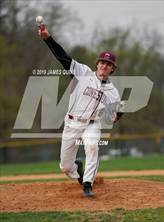 The Conestoga varsity baseball team lost Thursday's home conference game against Penncrest (Media, PA) by a score of 11-5. Cam's baseball stats have been updated for the loss @ Marple Newtown. The Conestoga varsity baseball team lost Wednesday's away conference game against rival school Marple Newtown (Newtown Square, PA) by a score of 12-0. Cam's baseball stats have been updated for the loss vs. Ridley. 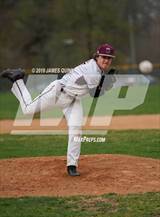 The Conestoga varsity baseball team lost Monday's home conference game against Ridley (Folsom, PA) by a score of 13-3. 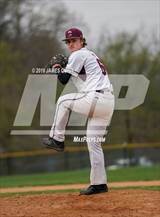 The Conestoga varsity baseball team lost Friday's away conference game against Radnor (PA) by a score of 8-5. Cam's baseball stats have been updated for the loss @ Lower Merion. The Conestoga varsity baseball team lost Wednesday's away conference game against Lower Merion (Ardmore, PA) by a score of 11-2. Cam's baseball stats have been updated for the win @ Upper Darby. The Conestoga varsity baseball team won Monday's away conference game against Upper Darby (Drexel Hill, PA) by a score of 17-3. Cam's baseball stats have been updated for the loss vs. Garnet Valley. The Conestoga varsity baseball team lost Saturday's home conference game against Garnet Valley (Glen Mills, PA) by a score of 12-11. Cam's baseball stats have been updated for the win vs. Unionville. The Conestoga varsity baseball team won Thursday's home non-conference game against Unionville (Kennett Square, PA) by a score of 7-4. Cam's baseball stats have been updated for the loss vs. Haverford. RESULTLoss Varsity baseball vs. Haverford. The Conestoga varsity baseball team lost Wednesday's home conference game against Haverford (Havertown, PA) by a score of 7-2. Cam has been added to the Conestoga baseball roster.